Fun as they may be, music festivals are known to be tiring, leaving their attendees feeling worn down by the end. However, Zero Point Festival combines the sacred healing power of Yoga, Qi Gong, and Spiritual Leadership by day, with funky beats by night. The fest is stocked with some of the biggest names in House and Bass music, including Mark Farina, Desert Dwellers, and AnTenNae. 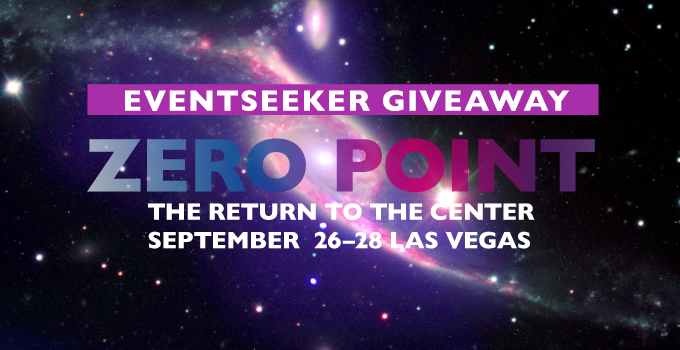 The first of its kind, set in the majestic oasis of Nevada’s Delphi Amphitheater, Zero Point Festival will be held in fields of Zero Point Scalar Technology. This technology is known to cause realignment of chakras, balance of left/right brain hemispheres, relief from pain, increased oxygenation and hydration, and optimum brain chemistry, allowing for optimum peace. Enter to win two tickets to this metaphysical experience below! Winners will be announced 9/15.